We’ve teamed up with Woman and Home to give away 2 of our scrumptious artisan Christmas hampers worth £175 each. Christmas simply wouldn’t be Christmas without the essential treats such as bubbles, Christmas pudding, festive nuts, chocolates, cheese and cakes! This magnificant hamper is jam packed with delicious goodies as well as Prosecco, Sauvingnon Blanc and a full bodied red wine that will bring delight to anyone’s Christmas! All packaged in a quality wicker hamper. 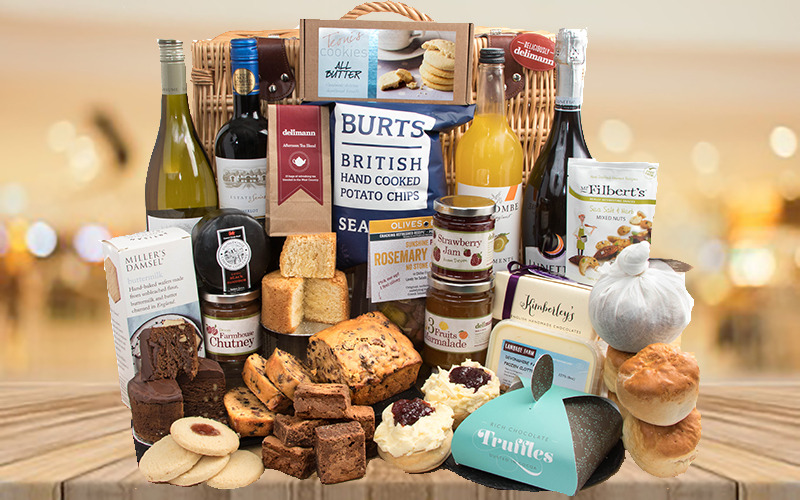 If you’re looking for the perfect festive gift for family or friends www.delimann.co.uk have a great selection of Christmas Hampers plus hampers for many other occasions that all come with a free personalised message card. Use code WH10 at the checkout to receive a 10% discount on your order. Here at Delimann Hampers we’re best known for our delicious award winning Afternoon Tea and Cream Tea gifts. We only use freshly baked Devon scones and delicious Devon clotted cream. Our artisan products are all chosen for their quality, flavour and in most cases are produced in the beautiful West Country. Free next day or specified day delivery is available if ordered by 2.00pm. Your hamper will be dispatched from our South Devon base via a tracked courier service to anywhere in the UK. You’ll receive a one hour time slot on the morning of delivery, so there's no waiting in all day for the postman!